"Get your head in the game" — a popular idiom used to motivate athletes — can actually be detrimental to their health. In a study conducted at New York's Albert Einstein College of Medicine of Yeshiva University, researchers examined the brains of 37 amateur soccer players from New York City — each averaging 22 years of playing - to see if repeated "heading" in the sport caused changes in the brain similar to traumatic brain injury. The results of the study showed that soccer players who headed the ball 885 to 1,550 times a year had a significantly lower fractional anisotropy (FA) — the random movement of water molecules along the axons — compared to players with 1,800 headings per year. Translation? Those heading the ball more often demonstrated dangerously poor memory scores. "What we are seeing are the effects of lifetime exposure of adults in their late 20s, 30s and early 40s who have been playing since they were kids," said Michael Lipton, lead author of the study and associate director of the Gruss Magnetic Resonance Research Center at the Albert Einstein College of Medicine. In other words, players who are "headers" at an early age put themselves at greater risk for a traumatic brain injury (TBI). Approximately 21 percent of all TBIs among American children and adolescents are due to sports and recreational activities, according to the American Association of Neurological Surgeons. As a whole, the number of estimated sports-related head injuries at U.S. hospital emergency rooms was 446,788 in 2009 (the most recent year for which data exists) according to the U.S. Consumer Product Safety Commission and the National Electronic Injury Surveillance System. And in fact, the total number of head injuries suffered is likely to be even higher, since those who suffer less severe head injuries typically go to a physician's office, care center, or just attempt to self-treat. A sports concussion, also known as a mild TBI, is the result of a bump, blow, or jolt to the head that can alter the way the brain normally functions. The Centers for Disease Control and Prevention (CDC) says that a concussion can also occur from a blow to the body that can cause the head to rapidly sway back and forth. The resulting loss of consciousness can range from a few seconds to a few minutes, and in some cases, the victim may not lose consciousness at all. A victim of a mild TBI can appear to be in a temporary daze or remain completely awake, according to the Mayo Clinic. Common concussion symptoms may include dizziness, temporary loss of consciousness, memory loss, blurred vision, bad taste in the mouth or a state of confusion or daze. Mild TBIs are often not apparent and could take days or weeks before the symptoms start to appear — brain swelling of these symptoms is gradual says The Centre For Neuro Skills. Even if a concussion appears to be minor, repeated concussions can have long-term effects on your health. This type of head injury occurs when blood accumulates between the skull and the dura mater (the outermost membrane that covers the brain), says the University of California Los Angeles Neurosurgery. This TBI usually occurs in young adults and occurs four times as often in males as in females. A victim of epidural hematoma can experience severe headache, dizziness, vomiting, and increased size of one pupil or the sudden weakness in an arm or leg. The University of Missouri says more visible signs begin to occur as the epidural hematoma swells and the brain structures are pushed together. Severe symptoms of this TBI can include drowsiness, confusion, a coma and a shortness of breath. TBI symptoms often go undiagnosed and untreated because they are subtle and vary, depending on the severity of the injury. Unfortunately, the reoccurrence of untreated brain injuries can lead to further brain damage, disability, or even death says the Alzheimer's Association. It is essential that you learn how to recognize a potential brain injury, particularly if you are an athlete, or a sports coach. TBI can have a variety of physical and psychological effects on the human body and may take days or even weeks to appear. The reoccurrence of TBIs — whether minor or detrimental — can increase the likelihood of frequent headache and dizziness, anxiety, aggression and cognitive impairments among many others says, according to a study published in Psychosomatics. TBIs are becoming more and more prevalent among young college athletes who undertake rigorous training that mimics game-like situations throughout the sport seasons and suffer symptoms of concussions. 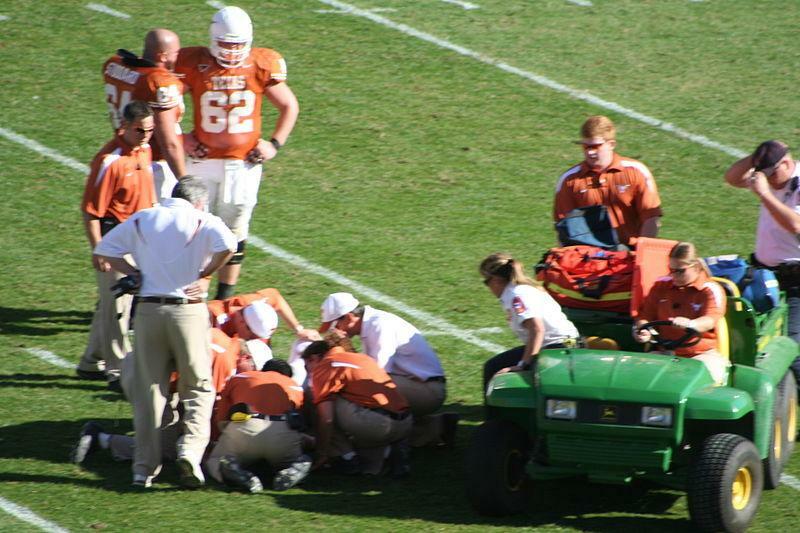 At Cornell University, the football team experienced a wave of injured players during the 2010 season. Head coach Kent Austin admitted to The Cornell Daily Sun that he wanted to have more hitting practices that would mimic game situations, improve the team's performance and tackling ability to the risk of injury. The level of TBI risk these young athletes face during practice and games continues to escalate. In a study conducted at McGill University, researchers examined the incidence and characteristics of TBIs among Canadian college athletes who played football or soccer for one full year. Athletes were given a questionnaire listing out a number of symptoms, and the athletes were asked to mark down if they experienced any of the symptoms listed on the sheet. The survey did not disclose to the athletes that these were symptoms common in TBIs. The results of the study showed that many of the athletes who had symptoms of concussion had no idea they had actually experienced a concussion. Approximately 70.4 percent of football players and 62.7 percent of soccer players who took the survey reported to have the list of symptoms, but only 23.4 percent of concussed football players and 19.8 percent of concussed soccer players were able to identify that these were symptoms of a concussion. Researchers found that 84.6 percent of the college football players and 81.7 of the soccer players experienced one or more concussions during the season. ATSM International, a globally recognized leader in the development and delivery of international voluntary consensus standards, has approved head gear required for many sports 100 percent of the time. The CPSC NEISS reports this recreational activity has the highest number of reported head injuries treated in U.S. hospital emergency rooms at 85,389. Tip: The use of a helmet can reduce the risk of head injury by 85 percent and severe brain injury by 88 percent, according toSafeKids.org. This sport had 46,942 head injuries reported in the U.S. according to the CPSC NEISS report. Tip: Athletes can reduce their risk of injuries through the cooperation of game programs, mastering correct execution of football techniques, wearing protective equipment, following the rules of football, reporting all injuries (even minor ones) to the athletic program staff and complying with injury treatment and rehabilitation programs says Michigan.Gov. These two sports ranked third in the CPSC NEISS report at 38,394 TBIs reported in U.S. hospital emergency rooms. Tip: The use of proper headgear is one of the best ways to prevent head injuries in these sports. These helmets should be worn when players are batting, running the bases and even at batting practice to prevent injury. Being aware of your surroundings is also a good preventative tip to follow when playing contact sports.